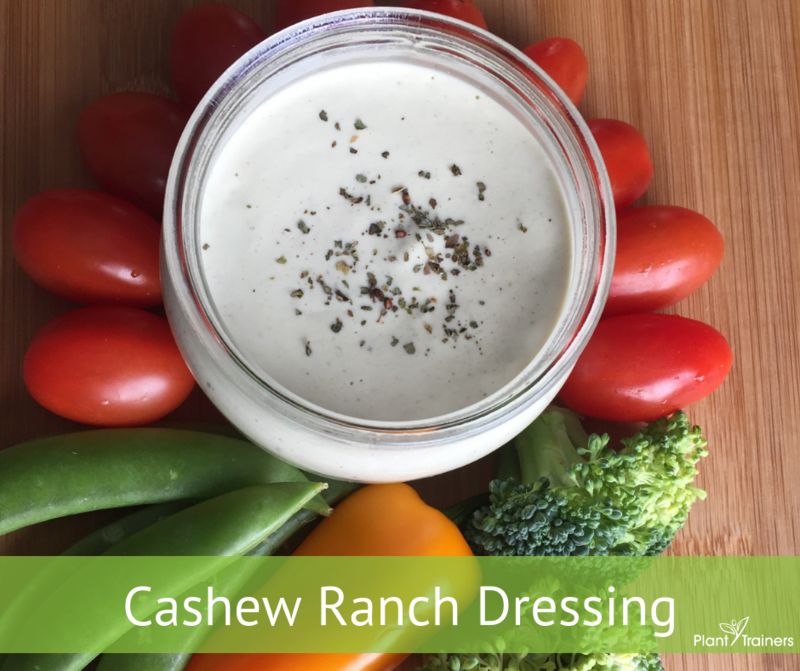 This Cashew Ranch Dressing is one of our favourites! We can’t even count how many times we make it. We first discovered it when our friend, Sid Garza-Hillman posted it on his YouTube channel. We then tested and tweaked until it was perfect for our taste. This is a great one to bring along to people’s houses or parties as long as nuts are allowed. When you say “Cashew Ranch” we find that there are no preconceived notions about it. It’s not the same as saying ‘dairy-free, gluten-free’ and then you get the sceptics saying, “oh, why don’t we just put air on our salad”. Ya right!!? This easy to make dressing can be used as a dressing, but can also be used as a dip for your favourite veggies. It can also act as a condiment for your baked fries, baked potato and even as a topping on a burger. This Cashew Ranch dressing is SURE to please…so be prepared to share this recipe. Can top it with a sprinkle of dill or basil for added beauty. It can last up to one week in the refrigerator in a small glass mason jar.